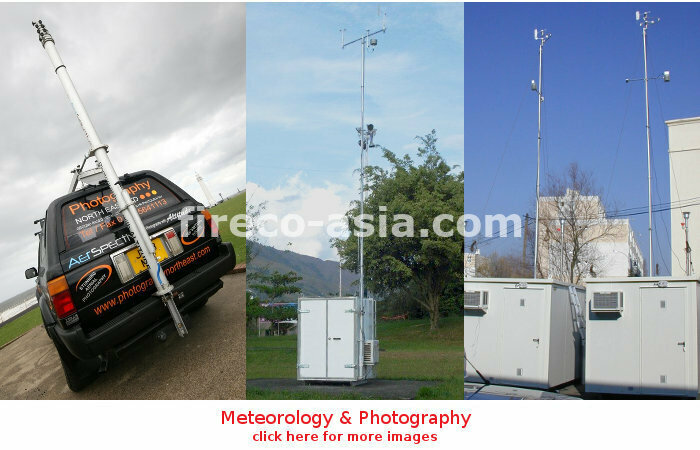 Meteorology & Photography is the application that needs to reach certain height in order to achieve the required result. 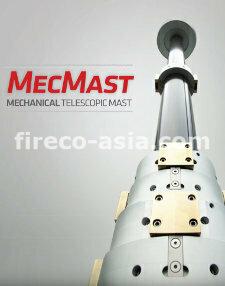 Fireco Pneumatic Telescopic Mast is the ideal solution for elevated pole aerial photography and meteorology. The flexibility of Fireco Pneumatic Telescopic Mast which could be extended section by section (telescopically) by air supply (pneumatically) gives the convenient for maintenance and storage of device (in case of not in use).